On the windswept, rainy, Isle of Arran, off the west coast of Scotland, former CFL fullback Phil Colwell is taking life such as it is one day at a time. Colwell only played in the CFL for two seasons in the early 80s, yet he believes the major health issues he is now suffering through are directly attributable to his time in the league with concussion injury being his main complaint, along with back, hip and neck issues. Over the past decade or so, evidence that something was wrong with former NFL players’ brains has grown exponentially. The living, and even the dead told tales that the NFL did not want to hear. 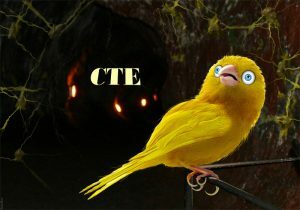 During that time Boston University CTE researchers established a brain bank to “better understand the long term effects of repetitive head trauma” on football players and at that time, the CFL took notice, seeing it as the first, dangerous, shot across the bow for their league. 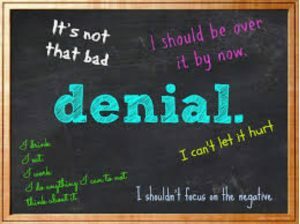 Along with continued denial by the league on the now recognized connection between football concussions and CTE, the CFL Alumni Association’s corresponding indifference/denial of CTE as well as very lame financial attention to former players in poor health related situations requiring aid, the CFL now welcomes a former NFL washout, Johnny Manziel, who has purported mental health issues, a history of substance abuse as well as a conviction for violence against a woman. 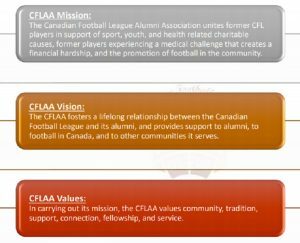 The CFLAA states as its mission, “The Canadian Football League Alumni Association unites former CFL players in support of sport, youth, and health related charitable causes, former players experiencing a medical challenge that creates a financial hardship, and the promotion of football in the community.” These goals inherently create a conflict of interest for the organization. 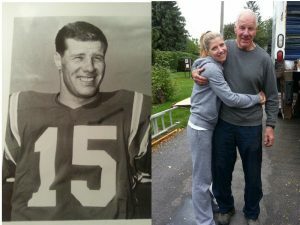 Canada, football, and brain injuries: Will the “better angels of our nature” ever prevail? 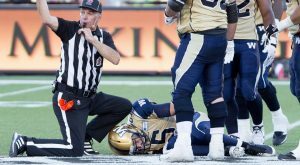 When the book and documentary League of Denial appeared in 2013, I wondered where the concussion and brain/disease injury awareness situation sat for the Canadian Football League. Unlike the National Football League and other interested observers’ slow and reluctant acknowledgement of football concussions and chronic traumatic encephalopathy, the CFL has, for the most part, enjoyed a curious detachment from the issue. The 1960s was a time of seismic cultural and societal change and an immense sense of energy crackled in the air in all aspects of life. And in that metric, the Canadian Football League would arguably enjoy their most golden decade with powerhouse teams like the Hamilton Tiger Cats, Ottawa Rough Riders, Winnipeg Blue Bombers and the Saskatchewan Roughriders who among them, captured 9 national championships in the 60s. 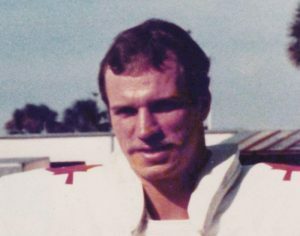 Leonard (Len) Sparks, a full football scholarship star player at Wyoming, was a northern Ontario boy who came south lured by the legitimacy of play in the CFL and eventually played for four different CFL teams between 1963 and 1969. As a solid defensive back/end, Sparks was subjected to the terrible violence of the game at a time when helmets were little more than a lightly padded plastic shell, spearing and chop blocking with a head lead were routine and “concussion protocol” was a farfetched fantasy. A ringing of one’s bell, and “how many fingers do you see and what city are you in.” “Real men” sucked it up and went back to getting their noggins knocked again and again.